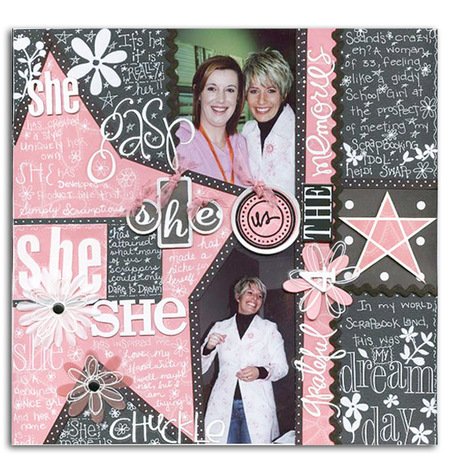 Heidi Swapp produces one of the most extensive and versatile ranges of embellishments, alphas and accessories in the scrapbooking industry. It's fair to say that in most of our Design Team layouts, you would be able to find something Heidi. Here are some layouts produced by our Design Team with almost all things Heidi, as well as some recent pages by Heidi Swapp herself which we are very proud to be allowed to share. We officially welcome Jaimie Emmerton to the Aussie Scrap Source design team with this fabulous layout designed by her. The Heidi Swapp range was perfect in every way to showcase this gorgeous photo of Jaimie’s daughter. The soft pinks of the paper, decorative tape and flowers is teamed beautifully with the bold red and black letter stickers to create a lovely girly feminine page. Donna was keen to scrap this photo that focusses on her daughter's first lost tooth. 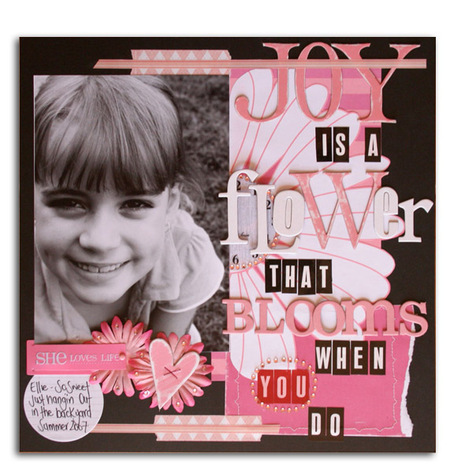 She knew that this style of photo was the best way to showcase Bella's new smile and was thrilled to discover that Heidi's 'Sassy Sweet Big Flower' patterned paper would essentially balance the photo when trimmed. Donna has added a bunch of Heidi Swapp products to finish the layout in her usual style, although she especially loves the Bling. A big thanks to the talented Rachel Eadie for this layout. 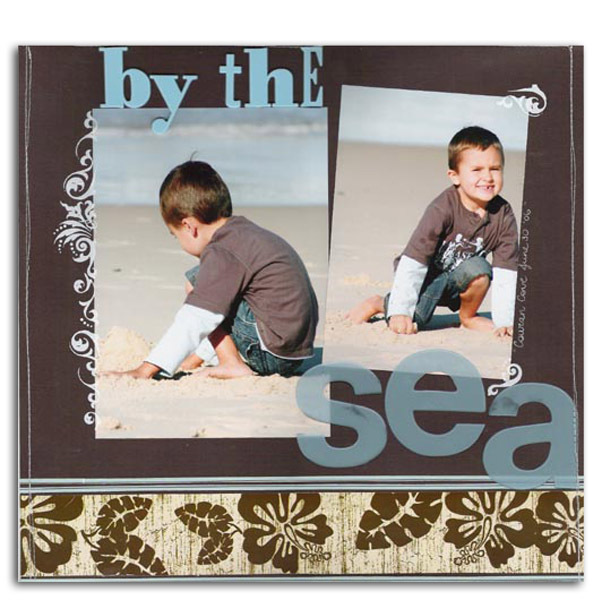 She loved these beach photos of her son Danen (taken at Couran Cove) and wanted to keep the layout simple. Heidi Swapp products are so versatile, she says she seem to use something from her range on every layout (-see!) and they don't 'take away' from the photos. The decorative tape is ideal - which Jaimie used here instead of patterned paper - it has a great effect and was perfect for this layout. Rachel added some stitching around the border to finish it off. 'She' by Kim Henderson is just so typically 'Heidi' and girly that we simply couldn't do a Heidi Swapp feature without selecting this particular layout. It contains a variety of Heidi Swapp products, from chipboard alphas to masks, yet remains uncluttered and extremely feminine. Very Heidi indeed! We stumbled across this gorgeous layout by Trisha Ladoucer from Alberta, Canada and were quite impressed with the way Trisha filled this page with all kinds of journalling and embellishments. It is slightly 'collage-ish' in nature and features some beautifully hand-written journalling. It is also great to see that this manufacturing guru (Heidi Swapp) is still mixing it up with her customers at scrapping events all over the States. And last but certainly by no means least, who better to go to for the best examples of the use of Heidi Swapp products, but Heidi Swapp herself? 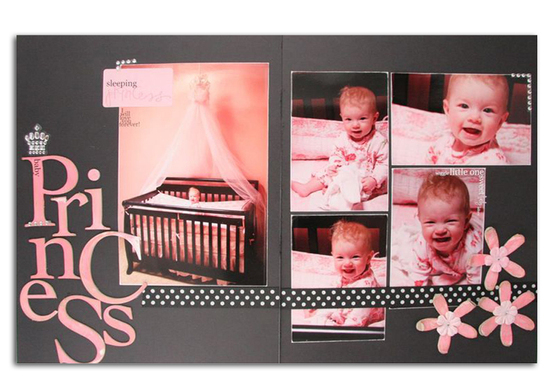 We thank her for allowing us to share these two wonderful layouts she just 'whipped up' recently.